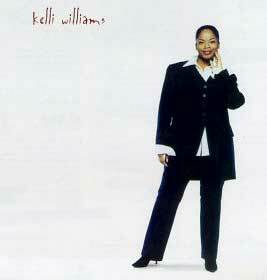 Kelli Williams is a contemporary Christian music artist most often labeled as Gospel, Urban/R&B, and Pop. Secular artists who share the same sound as her include Brandy, TLC, and Destiny's Child. Other Christian artists similiar to Kelli are Mary Mary, Trinitee 5:7, Out of Eden, and Anoited. Singing has always been a huge part of Kelli's life, as her parents were in a touring Gospel group called the "New World Singers" when she was a child. When her father handed her the microphone during a break in one of his group's sessions, Kelli Williams became even more convinced that that was the road she wanted to pursue. In 1988, when Kelli was just 10 years old, she made her professional debut when she joined Take 6, Larnelle Harris, and other Gospel and pop icons on stage. Throughout her early to mid-teens, Kelli Williams was a featured artist on a number of high-profile recordings, and she won Ed McMahon's Star Seach in 1993 three consecutive times. This led to a recording contract and the release of her self-titled debut album in 1995. 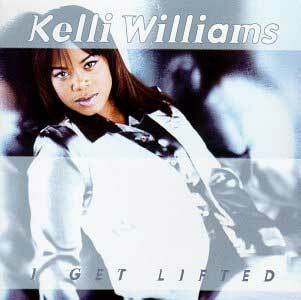 In 1998, at age 20, Kelli's second album, I Get Lifted, was released. It proved to be another hit and also gave her a top 10 single. This new album led to a 100-date tour with superstar Ce Ce Winans. Soon after this, Kelli Williams was married and then released In the Myx of Your Will through Myrrh Records in 2000. Through this album, Kelli proved herself to be a mature artist with a solid understanding of who she was and what she wanted her music to say. No longer was she thought of as an adolescent. "In The Myx brings a solid, cutting edge mix of urban, groove and dance music to the modern Gospel table." "Today, even as In the Myx ushers Kelli into a bold new phase of her career, she freely admits that her strength has come from a source much bigger than herself. 'I'm just like anybody else,' Williams concludes. 'My natural tendency is to fear the unknown and fall back on the familiar, so I can hold onto my pride and pretend that I'm in control. But in my lifetime alone I've seen more than enough to know that God will never forsake me . that He loves me, and that love is unchanging and eternal. Above anything else, that's what I wanted to tell people when I was 16, and it's still what I want them to know now. The music may change, but His love goes on and on forever."